THIS week’s property review includes this wrap-up of interesting recent listings across the country, and a separate article (click here) outlining recently completed sales of note. Barnaby Joyce and ex-wife Natalie have listed their 1015ha Gwabegar property Yarrandinbine in northern NSW for sale, with an $878,000 price tag. The grazing property, located 40km north of Baradine and 90km north of Coonabarabran, is suitable for both cattle and sheep. The country is level and features red loams to lighter, sandy soils, as well as some chocolate soils. Watered by 10 dams (most have been recently desilted), a feature is the Gwabegar Creek which runs centrally through the property. Michael Guest from Rural Property NSW said the dams are full following recent rain and fencing is in excellent condition. Mr Guest said while it was still early days, there had been good inquiry for Yarrandinbine. 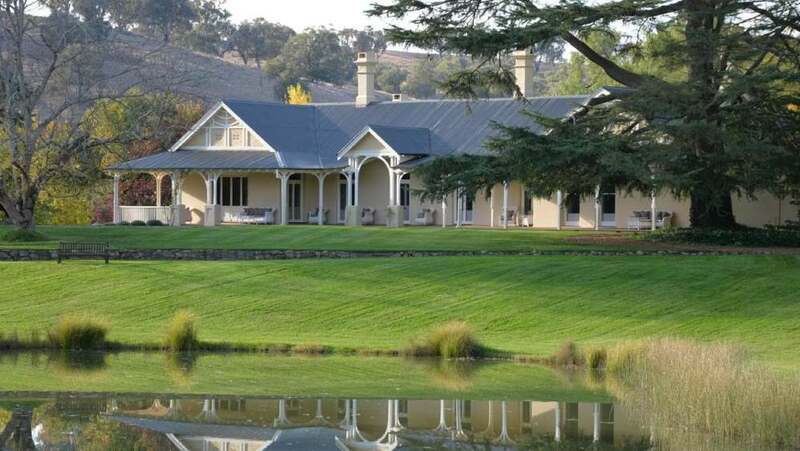 There’s been Australia-wide and overseas interest in Bundarbo Station, the home of the late Channel 9 executive Sam Chisolm and his wife Sue. Located 15km from Jugiong, on the south west slopes of NSW, the historic property is expected to achieve more than $30m. Chris Meares from Sydney-based Meares & Associates said the history of Bundarbo was closely aligned with the history of rural Australia. 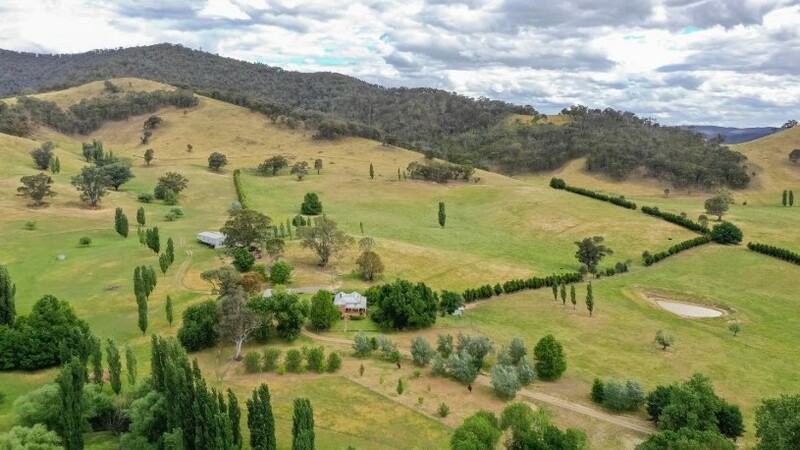 “The property was taken up in 1847 by the well-known pastoral Osborne family, at that stage a holding of 26,305ha, and was held in the family for 150 years when, in 1995, it was sold to the Chisholms,” he said. Bundarbo comprises 160ha of rich alluvial river flats on the 4km frontage to the Murrumbidgee River – mostly sown down to lucerne and pastures and irrigated using a 159 MgL irrigation licence. The balance of the country rises from slopes to low hill and extensive plateau country running to the southern end of the property. Water is supplied by a gravity-fed river water system to troughs on the northern end, and a series of spring-fed creeks and spring/catchment dams supplying good stock water over the balance. Much of Bundarbo has been sown down to high-performance pastures with the whole of the property regularly top dressed. 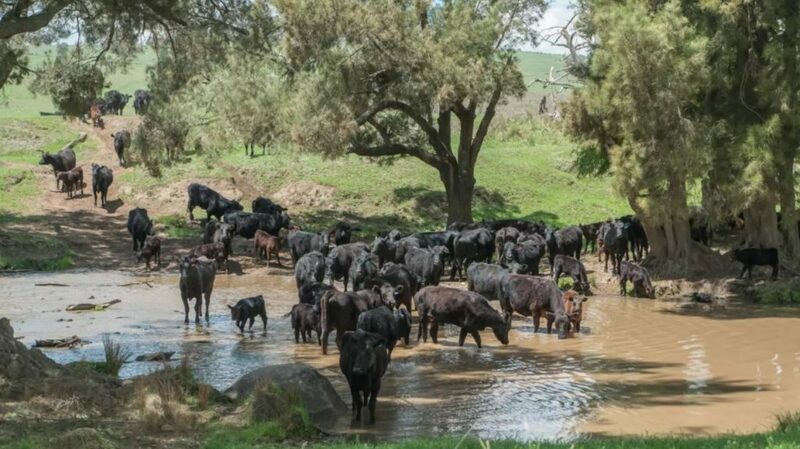 Today, even with the unusually dry season, Bundarbo is home to a 1100 head Hazeldean blood commercial Angus breeding herd plus followers (or 20,000 to 24,000 DSE). While the property has been run as a beef cattle breeding and fattening holding in recent times, it has also been run as a Merino sheep and prime lamb breeding operation. Bundarbo is being offered on a walk-in, walk-out basis, including the Angus breeding herd. Located 15km from Jugiong, on the south west slopes of NSW, the historic Bundarbo Station is expected to achieve more than $30m. 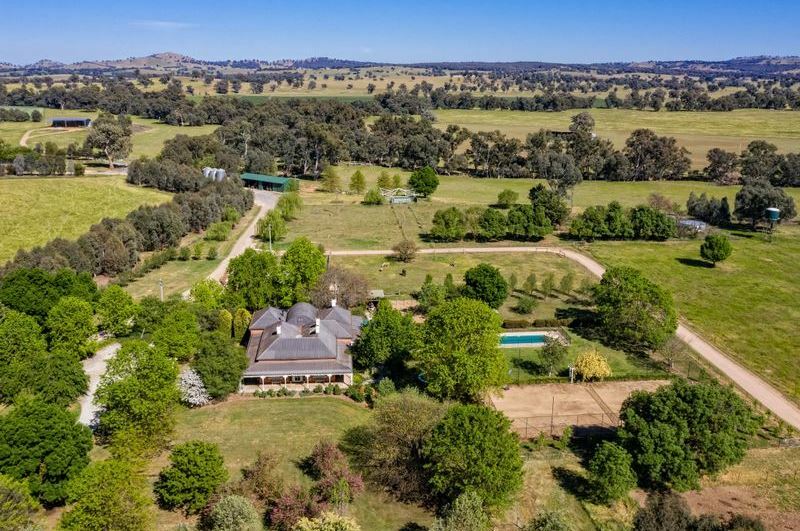 A larger farmer family is expected to secure one of the most prominent properties in the Holbrook district in southern NSW. Forest Vale, comprising 1136 hectares and located 19km north of Holbrook, midway between Albury/Wodonga and Wagga Wagga, is being offered to the market for only the second time in 100 years. The property is 95 percent arable and is situated in a reliable 675-700mm rainfall district. The country ranges from alluvial Billabong Creek flats to gentle rising red loam undulation. Originally part of the iconic Kinross Station owned by the Ross family, Forest Vale has been owned by the Watson Family since the 1990s. It was home to the well-known Injemira Hereford Stud operated by the late father Ian Watson and his wife Helen. More recently, the commercial livestock enterprise has been run by their son Andrew and his wife Anna. The pair has decided to sell up and pursue another beef related venture, which will be announced shortly. Selling agent David Gittoes from Elders said with several kilometres of pristine double frontage to the famous Billabong Creek, Forest Vale offered unlimited agricultural pursuits. “Forest Vale has been extremely well-managed over the course of the ownership with outstanding fertiliser, lime and pasture management practices,” Mr Gittoes said. Water infrastructure includes a fully-automated reticulated trough system, three bores, surface dams and permanent creek access. Price expectations for Forest Vale are above $12.6m, with tenders closing on December 14. 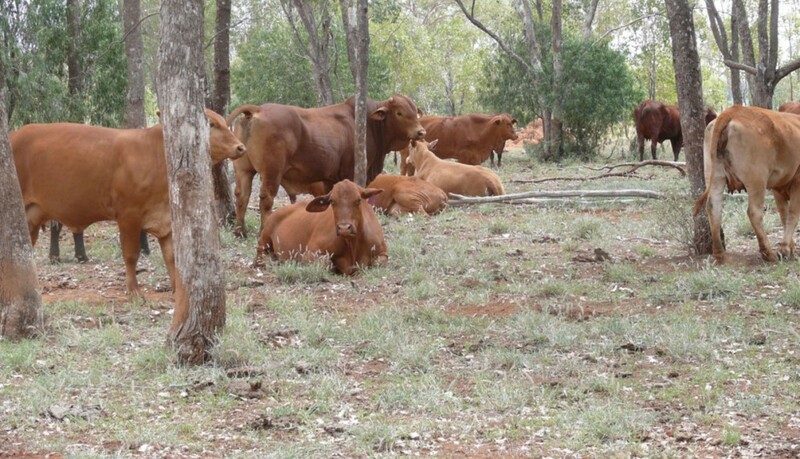 Next Friday, Ray White Rural will auction the New England grazing property Loloma. The 812ha holding, pictured at the top of this report, has been owned since 2006 by Tony and Pauline Kennelly who have decided to retire. Andrew Starr from Ray White Rural said Loloma’s location was a selling point. Mr Starr said Loloma is a highly arable parcel of land. The vendors currently cut hay on the river flats to support 450 to 550 breeding cows, plus 100 crossbred ewes. Loloma boasts a 5km double frontage to the Macdonald River, which is renowned for its reliability of fresh flowing water. Not only does it provide assurance for stock and domestic purposes, the river is well known for trout fishing, platypus, swimming and a range of recreational activities. Additional stock water is provided by 18 surface flow earthen dams. Mr Starr said while Loloma had an average annual rainfall of 820mm, the property had been very dry, however efforts to destock as well as recent rain has generated some grass. Loloma will be auctioned on December 14. CBRE has listed a ‘green oasis’ in the high rainfall zone of southern NSW. Carboona is a 200ha grazing operation, 12km from Jingellic and 48km south east of Holbrook, conservatively carrying 2000 DSE. Selling agent Tim Ward said the Upper Murray district has received good rainfall and Carboona is currently well grassed. “Water security is a feature, with the permanent Sandy Water Hole Creek, spring-fed dams and a reliable bore watering the property,” he said. The terrain ranges from gently undulating country through to gentle slopes and steeper timbered granite hill country. Shade and shelter are provided by red gum, stringy bark and red box trees. The property has been sustainably managed for the past 60 years by Bill Silvester who is retiring. Over the past 10 years, he has carried out a major replacement program of all the fencing. Mr Ward believes Carboona would be a perfect bolt-on acquisition, an expansion or a starter block. It is being sold for $1.74m bare of stock. The Upper Murray district has received good rainfall and Carboona, southeast of Holbrook, is currently well grassed. There’s been Australia-wide interest in one of south west Victoria’s most versatile, large-scale rural holdings. Situated 30 minutes from Portland, the 1115ha Condah Hills is located in a reliable, high rainfall district, complemented by a large irrigation water supply and modern cattle feedlot. Rob Rickard from Elders said the Davis family, who has held Condah Hill for the past 30 years, are retiring. The extensive infrastructure includes a 912mL irrigation licence, a conceptually designed 1000 head cattle feedlot, an extensive undercover cattle yard complex, a 2000 tonne grain silo storage and 80 tonne B-double weigh bridge. The country features rolling arable land, subdivided into approximately 50 paddocks. There is reticulated water to troughs throughout the property. Expression of interest for Condah Hills closes on December 05. 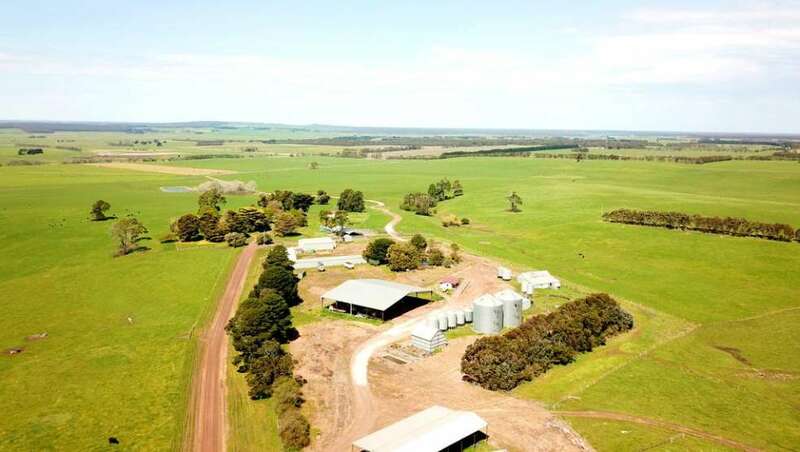 There’s been Australia-wide interest in Condah Hills, one of south west Victoria’s most versatile, large-scale rural holdings situated 30 minutes from Portland. The well-regarded Surat district grazing property The Homestead is being sold after 47 years of ownership. The safe cattle breeding and backgrounding enterprise covers 10,695ha and is located 63km south of Surat. The Homestead comprises slightly undulating deep red loam soils with kurrajong, box, wilga, sandalwood and ironbark. Around 6879ha have been developed through pulling, raking, burning and pasture improvement. It is well-watered by 18 dams, bores and a permanent hole in Donga Creek supplies several kilometres of poly pipe to numerous tanks and 36 troughs. The property is securely fenced, with 612ha exclusion fenced. The Homestead is presently carrying 900 adult equivalents on very limited rainfall.